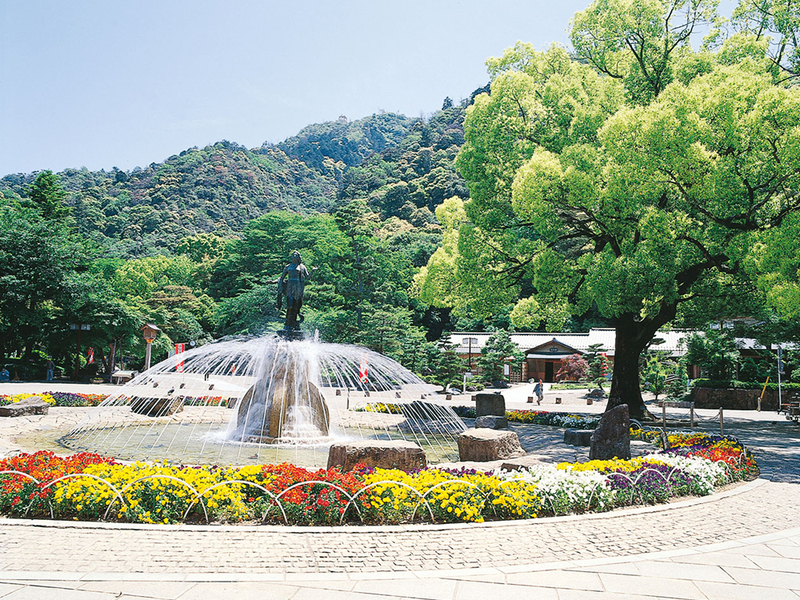 Gifu Park, located in the center of Gifu city and at the foot of Mt.Kinka, is where ODA Nobunaga, the famous Sengoku general and the master of Gifu Castle, made his home. Surrounded by the beautiful nature of Mt. 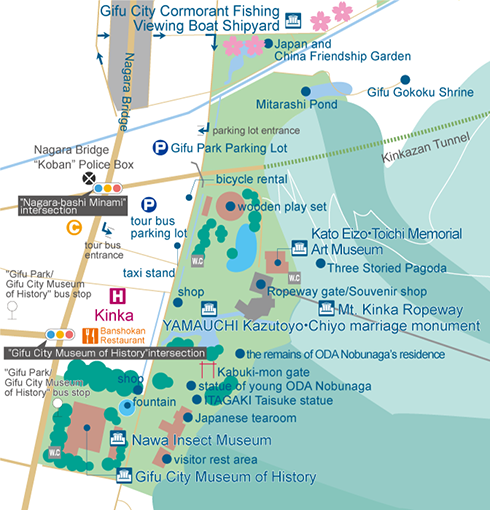 Kinka, you can visit the remains of Nobunaga's residence and also the Gifu City Museum of History in the park. 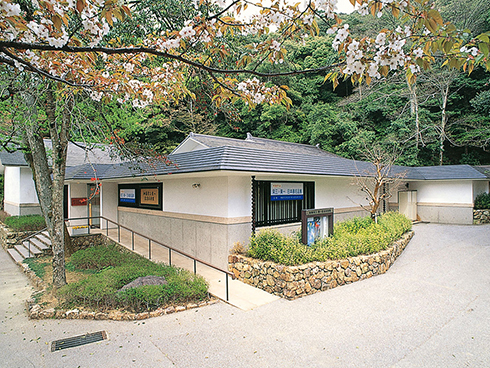 Accessible from Sanroku station, the Mt. 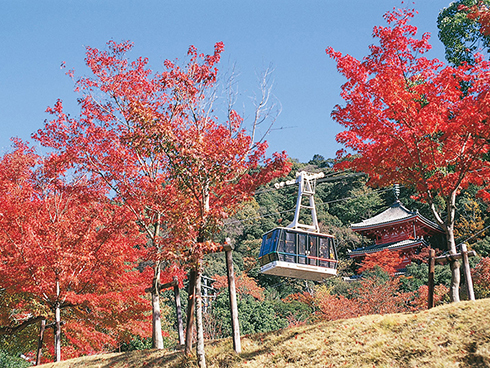 Kinka Ropeway takes 4 minutes to reach the top of Mt.Kinka, where starting points for various mountain trails are also located. Nawa Insect Museum is one of the greatest in Japan, displaying specimens of rare insects from around the world. Its collection amounts to more than 300,000 specimens of 12,000 species. In the spring, you may have a chance to see Gifu Butterflies newly emerged from their pupas. 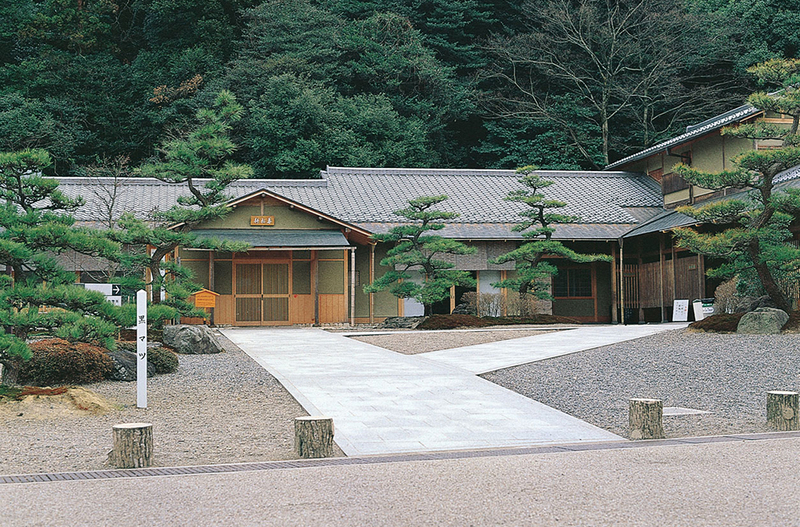 This museum house features impressive traditional white plastered walls and a flat tiled roof. 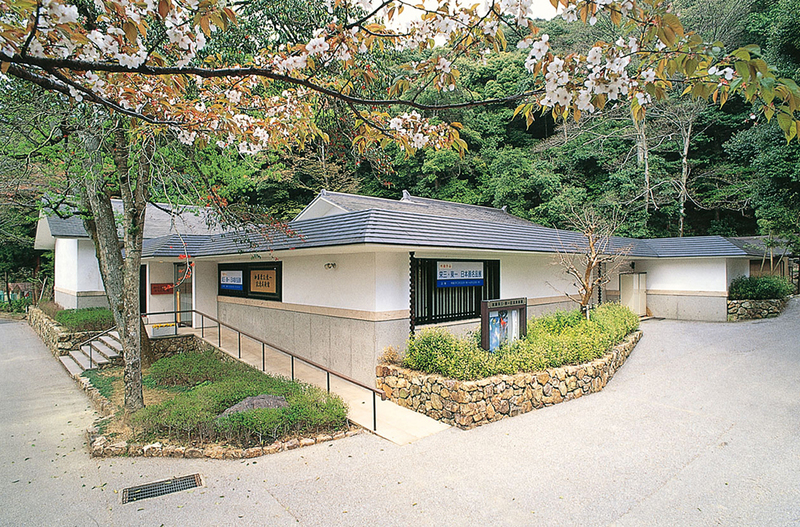 Displayed inside are the art works of the famous KATO brothers Eizo and Toichi, both natives of Gifu. The KATO brothers loved the natural beauty of their hometown. Nagara River and Mt.Kinka appear in many of their works. 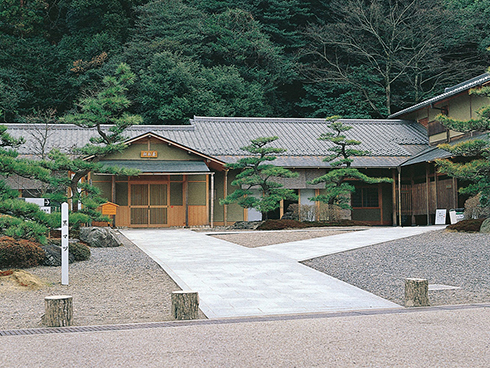 In the Japanese style house, there is a formal tearoom (Seisuian) and also a casual tearoom (Kashouken). 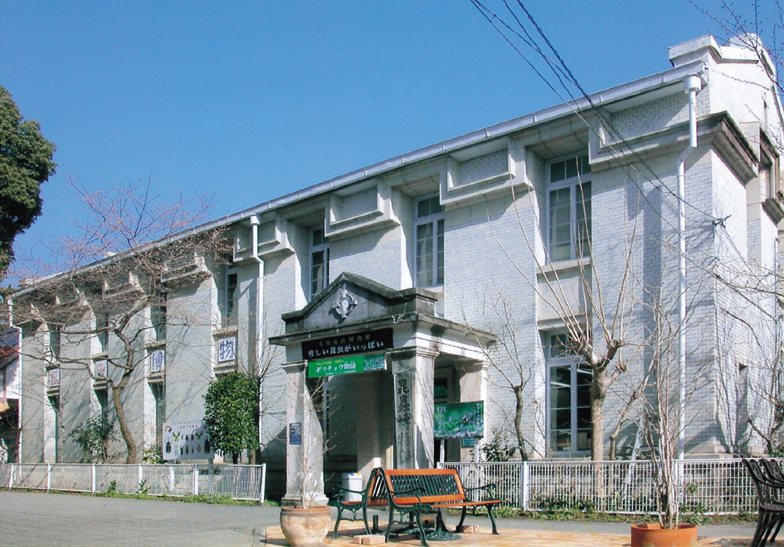 Kashouken serves Japanese green tea to visitors. May 11 - October 15 : 10:00 a.m. - 4:30 p.m.
October 16 - May 10 : 10:00 a.m. - 4:00 p.m.
Closed on Mondays (if a Monday is a public holiday, then it is closed the following day), the day after holidays, Year End and New Year holidays. 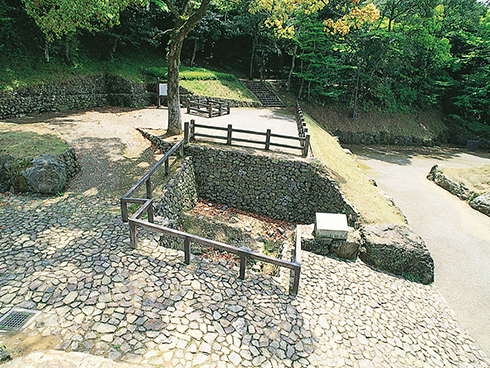 This is the location of the former entrance to ODA Nobunaga's residence. Period artifacts such as passages and stone fences uncovered in archaeological excavations have been preserved and are displayed here. You can see a passage made of rare giant stone construction, the remains of something like soil barriers, and fragments of foundation stones for staircase-shaped waterways. 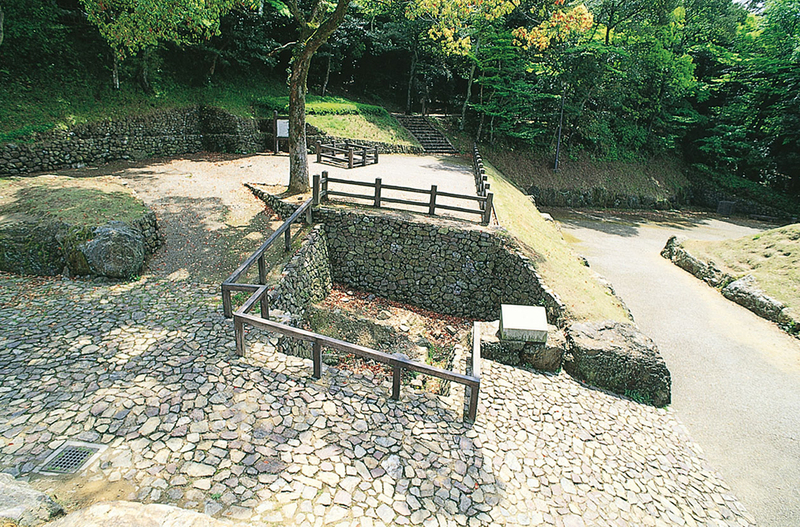 Excavations are still underway in the park In order to research the complete picture of ODA Nobunaga's residence. 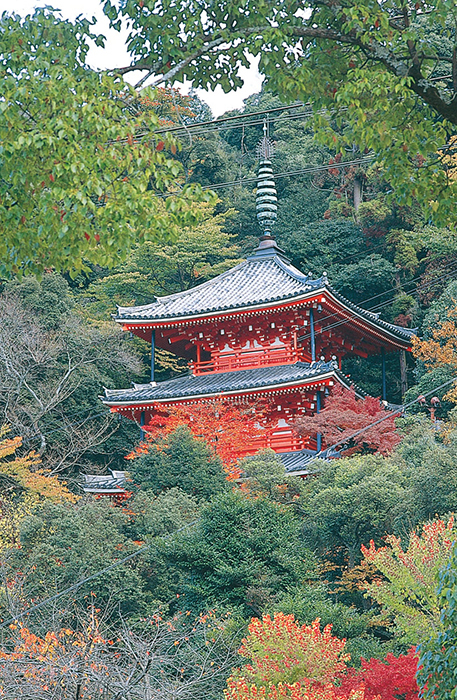 On the east side of the park, there is a vermilion Three Storied Pagoda standing among the trees on a mountainside. 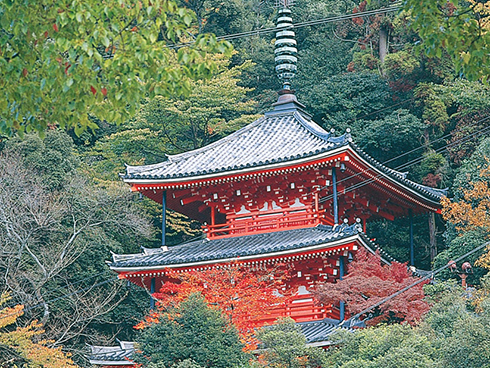 It was built in 1916 in commemoration of Emperor Taisho's accession to the throne. 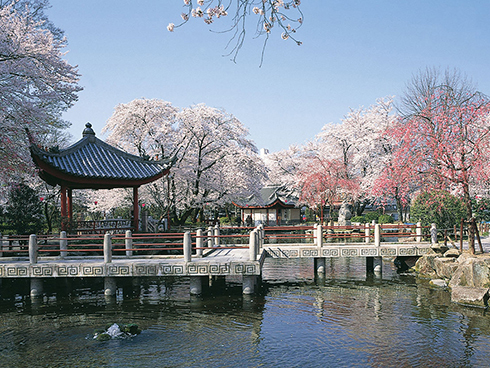 This garden is known as one of the best viewing spots for cherry blossoms in Gifu. 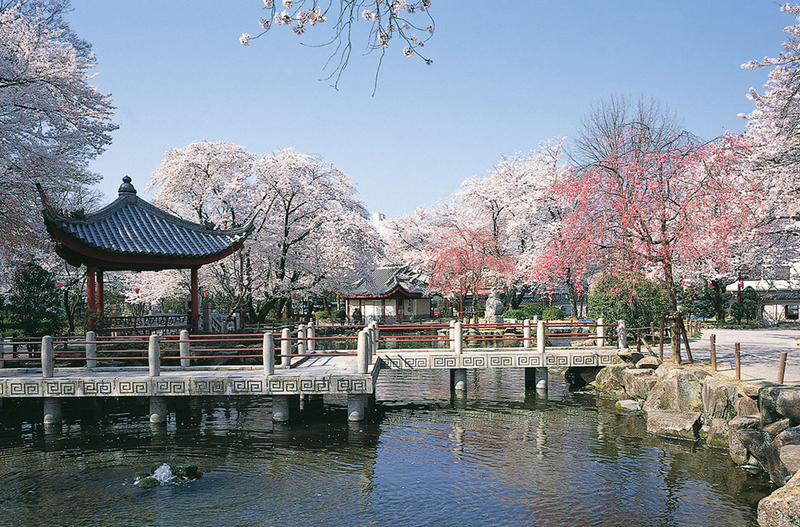 In early April, the whole park is beautifully colored by the brilliant pink blossoms. 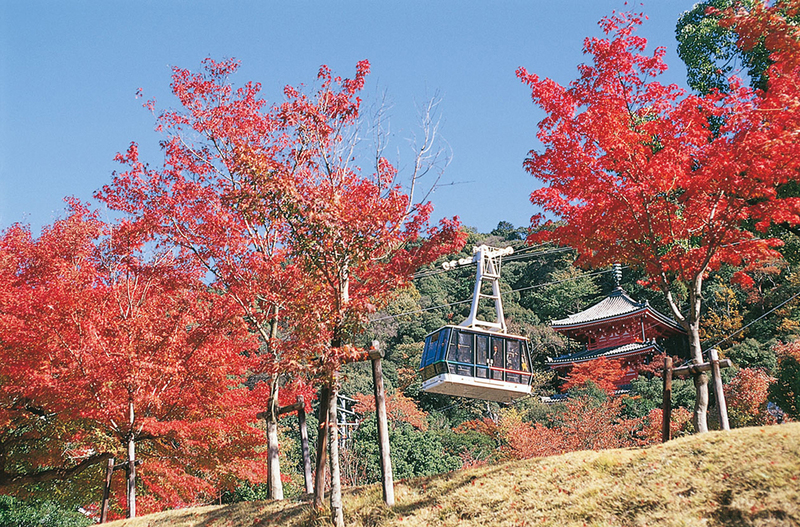 In autumn, the leaves of the trees turn to red and yellow. 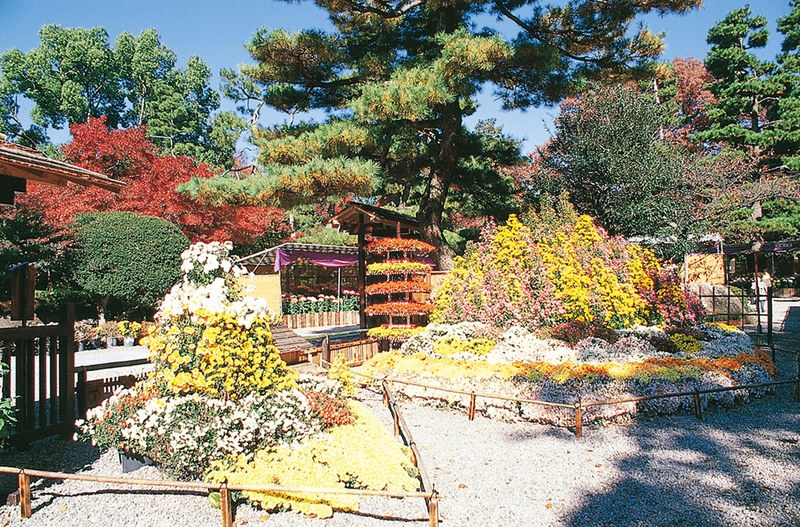 Together with the Chrysanthemum Flower Show held from late October to late November, the entire park comes alive in a riot of brilliant colors. The best season for viewing autumn leaves is from mid- to late November. 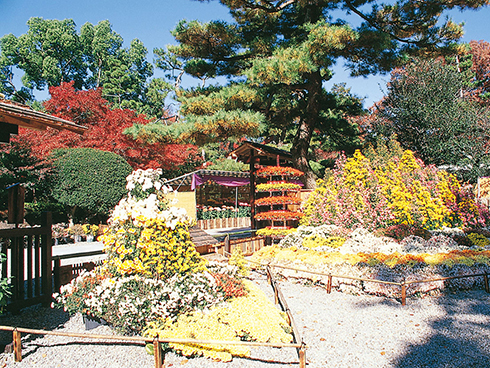 During a limited period each autumn, 3,000 pots of various chrysanthemums carefully grown by fanciers go on display. Included are "Minogiku", a species known for their multi-colored petals and which originated here in Gifu, as well as "Yamagiku" and "Ogiku". The Chrysanthemum Dolls Show and Chrysanthemum Garden are also popular.